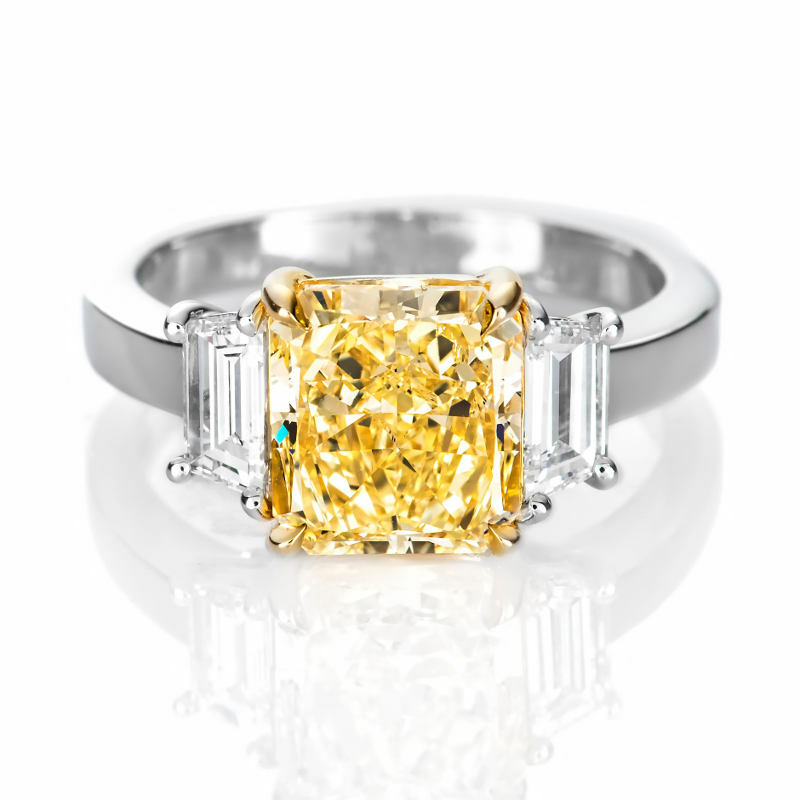 Beautiful three stone yellow diamond engagement ring. Center diamond is a 3.11 carat radiant cut fancy light yellow diamond, GIA certified with si2 clarity, very good polish and symmetry and with no fluorescence. It is flanked by two white trapezoids, F-G color with VS clarity weighing 0.77 carat – bringing it to a 3.82 carat total diamond weight. The ring itself is made of combination of platinum and 18 karat yellow gold that brings out the yellow color from the diamond.